What is the exponential future of healthcare? 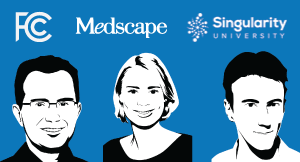 John Nosta, a faculty member at Singularity University, speaks with CXOTalk about the changing environment of health care and innovative technology solutions, from artificial intelligence to wearables. Nosta is the founder of NOSTALAB, a digital health think tank, and regarded as one of the top global strategic and creative thinkers in science, medicine and innovation. He’s also a popular speaker on digital health trends, is a member of the Google Health Advisory Board, and has written for Forbes’ Health Critical column. Michael Krigsman: We all care about healthcare. I can tell you; I sure care about my healthcare, and I know every one of you feels the same. But what about innovation in healthcare? And what in the world - what the hell is this thing called exponential healthcare? I'm trying to figure it all out, as is the government, the insurance companies, everybody. 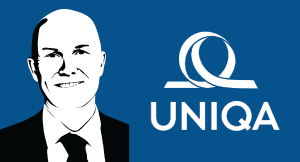 Today, on Episode #262 of CxOTalk, we have literally one of the world's elf -- [Laughter] -- one of the world's elf -- one of the world's top experts in healthcare innovation, and we're going to be exploring this topic. I just wanted to say thank you to Livestream for being a huge supporter of CxOTalk. We use their video streaming infrastructure. They're great. If you go to Livestream.com/CxOTalk, they will give you a discount on their plans. I really recommend them. Without further ado, John Nosta, how are you? Thank you for being a guest on CxOTalk. John Nosta: Michael, first of all, let me just say that it is an unqualified/qualified pleasure to be here today. I'm a big fan. I always watch the show. I enjoy it, and I learn a lot. Hopefully we can impart a little bit of knowledge about this healthcare innovation mystery, so it's great to be here. John Nosta: [Laughter] Let's keep it simple and pointed, if you will. I help companies navigate exponential change in the healthcare space. That's kind of the way to focus it down. There are a lot of things going on from technology to human conditions, and I try to help companies understand this and plot strategic plans out a week, a month, a year, a decade. Michael Krigsman: You help companies plot strategic plans, healthcare organizations, and what's the purpose? Where does this all fit into the healthcare environment? Also, link it back, ultimately, to patient outcomes because, when we talk about healthcare, somewhere I hope in there is this notion of patients doing better … health. John Nosta: Certainly. The end goal certainly is for patients to do better, but it's complicated. I often start a lot of my talks by telling people that they're lucky to be alive today. It's a special time in human history. Our evolution has been defined by certain key activities: the Industrial Age, the Technology Age. We are entering an era of human health defined by life extension and life expansion. It's interesting because people have often talked about this in the context of the famous inflection point or even the Gutenberg moment. That comes up all the time. For me, it's not a Gutenberg moment. That's really underselling the significance of what's going on in health and medicine today. We're seeing a variety of factors emerging, not the least of which is the social strife around aging, around Alzheimer's disease, around obesity, around paying for the costs of health. That in and of itself is enough of a human struggle to provide a significant inflection point, but that's not good enough. Add to that the technological changes. They are amazing, from nanoparticles to CRISPR gene editing to sensors and monitoring. That's another layer that's added onto this. Interestingly, there's actually two more from my perspective. There's one that's a social empowerment. Today we talk about the democratization of healthcare. People are no longer passive participants in health. Think about this, Michael. Ten years ago, 15 years ago, we'd go to the doctor. We'd take the pill that HE gave us, and would be on our way. There was a very one-way direction to that dynamic. Control was in the domain of the physician. I said "he" because that was the classic example of the male physician. Today, we're seeing a fundamental change. I can talk more about that, but there's another layer, and the layer is very, very interesting because it's a sense of wonder. This is the less tangible of these factors that are causing this profound human inflection point, but it's the one that connects not only our brains with the changes, but our heart. You have to go no further than the end of your arm to realize this dynamic, and that's the smart phone. Michael Krigsman: We're already getting questions on Twitter, but let's hold off for a moment to just get into this a little bit more. Michael Krigsman: When you talk about the smart phone, it seems like there are these layers of technology, of social change, of moray, such as taking responsibility for one's health. How do these layers fit together, John? John Nosta: Sometimes badly. They are, in many ways, conflicting and synergistic, and that's why this point in human history is so unique. That's why it's not a monolithic episode like Gutenberg. I mean Gutenberg was simple. Gutenberg was kind of like Google. It was the free dissemination of information in the context of a book. Now we use a laptop instead of a book. Today, we're seeing synergies, patients who want to take care of themselves, patients that have a proactive stance in health, caregivers who want to take care of their elderly mom or dad being supplemented by technological innovations like telemedicine or simple monitoring where you can track footsteps, heart rates, or things like that. That's great. Those are real synergies. What we find--and you know the word, Michael--is disruption. Right? If it wasn't disruptive, it wouldn't be disruption, I guess. What we're seeing is that medicine is not new school. Medicine is old school. Think about the way physicians have trained. They are trained in a very, very structured, hierarchical environment where there's a medical student, there's an intern, there's a resident, and the resident has an attending. The attending has a chief of staff, et cetera. That is almost a military dynamic, so we are taught in medical school to do things a certain way. Now part of it is the ritual, and that's important, of course. But the other part of it is that it's validated science. I'm not going to take echinacea for my cold because my grandmother says that. I'm going to take echinacea for my cold because there's a controlled clinical trial, so there is a rigidity to medicine that is important. However--here's the interesting thing--technology has imparted a disruptive element to medicine that's making physicians miserable. Here's a classic example where technology is consuming physician time; 30%, 40%, 50% of their day is used to key in information about their patient. From my perspective, the promise of technology is actually the antithesis of that. The promise of technology is to free up physicians to have a greater engagement, a greater human connection with their patient. I think the answer is that it's a little bit of both. The fundamental reality is that the toothpaste is out of the tube and that the conflicts will arise and the disruption is part and parcel of the dynamic. One of the things that's real interesting to me is when I talk to physicians who are our age. They're disenchanted. When I talk to them about the future in medicine or, perhaps more interestingly, when I ask them, "Would you send your kids to medical school?" and they quickly say, "No, I don't want my son or daughter to be a physician." That's interesting. But when I get the opportunity to speak with medical students or young interns or residents, they have a very different perspective on medicine because they don't look at technology as violating their kingdom. I use those words very, very specifically because the physician hierarchy, the medical hierarchy is structural. It has a rigidity to it. But medical students today grew up with this thing. Again, I'm going to reach to the end my hand and pull out my smart phone. They grew up with a smart phone. They're digital natives, and that is important because they look at technology as part of the solution, when many physicians today look at technology as part of the problem. That's not a comprehensive perspective. Certainly MRIs and technological scans and interventions are technologically driven and very much a part of a solution. But I think that the disruption is a big issue. I think that you can go down the road of cost of care; that technology is extraordinarily expensive. I can give you my little dissertation on technology, but let me give you a minute to chime in. Michael Krigsman: Okay. First off, I want to remind everybody that we are speaking with John Nosta about healthcare innovation. Right now on Twitter there is a tweet chat going on using the hashtag #CxOTalk. John, we have a question from Twitter from Sal Rasa (phonetic) who in a way gets to the heart of some of these issues that you were just describing. He says, "How do you separate healthcare in your thinking from the business of healthcare?" The reason I think it's quite related is because, in a way, when you were just talking about technology, you spoke about two different types of technology. One is what we might call the infrastructure of healthcare, the medical records that require so much overhead. Let's add to that the paperwork that's associated with it. You said that's disheartening. That's where physicians are spending 30% of their time. At the same time, you said that younger physicians see the opportunities. In a way, you didn't say this, but maybe they have a sense of wonder and see the open possibilities with things like wearables, essentially sensors on us, tracking us, being able to give us information. How do you separate these two pieces? Let's just call them, generically, infrastructure versus opportunity. Michael Krigsman: Business versus actual healthcare outcomes. John Nosta: Let me push back on that. We live in a world of duality. Whether we speak to Vedic knowledge in the Indian tradition of thou art that you and I, we split. What we've done is split this healthcare dynamic into these two vicious parts that compete. Now, where am I going here? Right? Think about this for a second. When we talk about Tesla, or when we talk about Google, or when we talk about Apple, do we separate that? Do we separate that into those two components? I would argue that we don't. Isn't that interesting? What I think was touched on here -- it's a great question. Look; the business of medicine and the practice of medicine are two very different things. But go back 50 years and ask Marcus Welby. They were one, actually. I think that, from my perspective, that stark differentiation, when we push it into them against us, is so unique to medicine. I don't know if that's specifically a problem in medicine or if it's our kind of take on it. I go back to it. When I talk about Elon Musk, when we talk about Tesla, it's a singular dynamic that integrates innovation and the engine of innovation, which is finance and sales. I don't apologize for pharmaceutical companies making a lot of money. I don't. I think that that is the engine of innovation. It's a fundamental capitalize dynamic, and we have to look at it that way. I think that you against me, them against us, and that whole business of pharma verus non-pharma is problematic at the get go. That's how I'm going to attack that answer. I know that's a bit of a hedge because I think that they are inexorably connected and that they serve each other's purpose. Michael Krigsman: It makes perfect sense, but yet our healthcare -- it's so interesting when you talk about companies like Apple or Tesla. It's very clear that the underlying business, the profit motive is essential in order for those companies to work, basically the capital structure, all of that stuff. Yet, when we talk about healthcare, I think it's very different because healthcare is so intimate; it's so personal. When it comes to money, for me, my personal healthcare, money is no object. I think everybody feels that way, and we feel entitled to it. I think it's a fair point that you're making, but the domains are fundamentally different. Would you disagree? John Nosta: I think I agree and I disagree, I guess is the answer to that. Simon Sinek articulates this notion of what you do, how you do it, and why you do it. The "why" is extraordinarily powerful. I think that for Apple it's clear. Apple believes that the empowered consumer can change the world. It's that changing the world, those great campaigns with "Think Different" with Albert Einstein and Maria Callas were extraordinarily powerful. I think that one of the biggest problems in healthcare and the pharmaceutical industry is that they fail to articulate that this is truly a fundamental, life-changing initiative. I think, in a strange way, they share a very interesting mind space, if you will, that health is so fundamental to our success, to our realization has humans, that in a way when you come back to tech, they share such intimacies. That's why I think technology is really the empowerment to the fulfillment of humanity. If we want to go down that road and talk about this idea of connectivity that we are connected as humans, there's only one tool that will do that, only one tool, and that's technology. Technology brings us together and binds us together. I think that medicine and technology is sort of functionally different. But when you ladder up, when you go from a feature to benefit to value, those values become very, very human. It's a tricky area. Anybody who has climbed a ladder knows that the top rung says, "Danger! Do not step here." Then the same is said for branding. But I would say that technology and medicine share at least borders, if not a certain degree of overlapping. Michael Krigsman: That being the case, then the question becomes, how do we harness that, say, financial engine that enables the innovation to support healthcare and focus it directly towards ultimately patient outcomes, whereas today there's just so much inefficiency and greed? I mean look at the United States where we have among if not the highest healthcare spending in the world, and yet we rank far down on the list relative to other countries in terms of healthcare outcomes and quality of life. John Nosta: Well, yeah, I think that you can take a shot at the United States if you want to and look at it in the healthcare perspective, but the nature of innovation, business, and finance has shaped the globe like no other country in the world. Yes, there's waste. Yes, there's excess in the system. But I also think that there are profound, life-changing innovations. Let's not take our eye off the ball. When we look at innovations in the life science industry, we're looking at things like CRISP gene editing, which is changing the game. Things like immunotherapy: immunotherapy is a fascinating way to treat cancer. It takes your own immune system, revises it subtly, gives it back to you, and you fight your own cancer. Think about that. Think about that in the context of traditional chemotherapeutic agents, which are basically metabolic poisons. It's a poison that kills everything. Because cancer cells divide quicker than other cells, it kind of kills that first, and then we hope you survive on the other end of that equation. I think we're seeing profound innovations in healthcare that can lead to extraordinary cost savings. I'll give you two classic examples right now. One is this simple, little device that takes your EKG. It was invented by a company called AliveCor. It uses your smart phone and it looks for an arhythmia, a beating abnormality in your heart. It looks for a variety of them, but one is called atrial fibrillation, which contributes to stroke. Now we have a simple tool that costs $99 where a patient can track their heart activity with this device, or even on a smart phone. You can use an Apple Watch band that could continuously track your heart rate to look for this. It's very, very inexpensive that prevents hospitalizations due to atrial fibrillation and, perhaps subsequently, stroke. That's a real cost saver. That's innovation that is serving up efficiencies that keep patients out of the hospital, that keep patients out of their doctor's office, and keeps them in their home where they're happy. The other one is going back to this notion of immunotherapy. Immunotherapy is profound. It's profound for two reasons. One is, it's amazing. It's a game changer in the management of cancer. For me, the other one is it's ridiculously expensive. This plays into that dynamic that we were talking about earlier. Some of these new therapies, to treat cancers that otherwise would not be treated, cancers that have a functional death sentence, cost $200,000 to $500,000 for treatment. That makes some of the hepatitis treatments that are $60,000 and $70,000 sound almost inexpensive. I think that we do see the price tag of innovation, and that's problematic. But again, that's the system, and it's those dollars that actually drive the innovation, that drive the clinical research. Look. Everybody knows Gordon Gekko, who was walking on the beach in Wall Street. He carried with him that phone, that Motorola phone that we called "the brick." Remember that? Boy, I wanted one. Everybody wanted one. That was the coolest thing in the world. The problem was it was just too expensive. It was $10,000 and probably $5 a minute. Now let's go back ten years. Everybody lusted for that flat screen TV, that 38-inch flat screen TV. That was the object of our desire. Now they're obsolete. You find them on the street. People threw them away because they want the 65-inch plasma flat screens, but they're extraordinarily inexpensive now. They're very accessible. To me, I think that that's part of the journey that we have to go through and that the price of certain technologies in care will evolve similar to other technologies. There's a logistical issue here about managing care and making ten appointments to see a cardiologist, blah-blah-blah. But from a technological perspective, and as a techno optimist, the things that are changing will fundamentally disrupt our path. Just think where we are now, Michael. A girl born today has a 1 in 3 chance of living to 100; 1 in 3 chance of living to 100. I think, interestingly, when you look at life extension in the context of life expansion, and those two go hand-in-glove. It's not just living to 150 and spending the last 50 years of your life in a wheelchair. That's not the game. Think about it this way. Think about the 75- or 80-year-old man who is now on his third career. Now, what does that do for humanity? What does that do for that individual and his family? Here's the kicker, okay? What does it do to gross domestic product? When we have a more productive workforce, now take a look at the big issues like healthcare insurance. Take a look at social security. Take a look at managing the aging population in the context of a more healthy and healthful society, and those solutions begin to get reframed. Here's the big takeaway, which kind of bugs me. We look at all these issues around cost, security issues, and we judge them by today's standards. We easily say, "Oh, ten years from now we'll all have microchips," or we'll all have whatever. But we judge it by today's standards of either technology or cyber security. I think that's not fair, and that's what makes it all that much more difficult is because everything is shifting. The bad and the good is shifting forward. Michael Krigsman: I guess that raises the question of, what do we do about it? We have a couple of questions on Twitter that relate to this. Arsalan Khan asks, "What about the fact that the healthcare industry is so resistant to change, especially the way doctors are trained without technology?" And, at the same time, Chris Petersen asks on Twitter. He makes the comment, "What about HL7?" which I'm not even sure what HL7 is, "That's been around for decades, and yet we still have challenges making electronic medical record systems interoperate." The promise of what you're talking about is wonderful, of course, and yet we are weighed down by the infrastructure that's so old and the resistance to change. What do we do about it? John Nosta: There are three or four questions baked into that. Let's talk about physicians' reluctance to change. We know that just in the context of medicine and science, physicians don't want change. What they want is the same, but better. They want the same antibiotic, but a little better. Michael Krigsman: Isn't that the definition of insanity? You do the same, right? John Nosta: Yeah. Yeah, but again, what I think this is going to come down to is a generational shift. This goes back to our earlier discussion about the disenchanted, older physician who refuses to send her daughter to medical school. Yet, we have the youthful medical student or intern who looks at technology and the Golden Age of Medicine emerging. That's an important distinction. I think that this is the century of health and wellness, and that it's not going to be evenly distributed, but I want to follow that. Let's go back because there were a couple other questions on Twitter that I want to address. The regulations are old. My most favorite is HIPAA. HIPAA was written, and HIPAA basically is the privacy act. If you go to the doctor's office and you want to get a copy of your mom's health record, they won't give it to you because that's protected. HIPAA needs to be revised. I think we really need to look at this from a government perspective, and that is something that's not my domain, but I think, fundamentally, we have to look at these things. Now the interesting thing, for me, is that when we look at the impact to society, the advances in technology may not occur in the United States as quickly as we wish. I'll give you an example. Telemedicine is a perfectly valid tool to administer care. Not all people agree that telemedicine works as well as it does, but it's still the ability to speak with a physician via phone or via video chat, get a cursory physical exam, and make inferences about what your condition is. By the way, we've been doing that as long as I've been alive. I remember my mom and dad calling the doctor and asking for a prescription, so telemedicine has advanced, but it hasn't taken a strong foothold in the United States. Why? Because our doctor is around the corner. CVS has a medi-clinic. We have all sorts of opportunities for care. I think that the place where we will see the biggest innovations that will affect the cost structure is probably in the developing world, in the BRIC nations. I think that if you look at, let's say, Sub-Saharan African where mortality due to pregnancy and perinatal mortality is high, if we could establish a simple connection, a telemedicine like connection, to get women to take folic acid, to track their pregnancies, to have them engage with a healthcare practitioner. It might be a midwife. It might be a nurse. It doesn't have to be a physician. That's where we would see HUGE changes. That's where we begin to shift the health cost curve. Our curve is entrenched in the United States with all sorts of problems. I look to developing countries, and even countries that are very sophisticated, countries in the Middle East like the United Arab Emirates or even Bahrain, that are looking to implement a system from the ground up where things like intra-operability--a tough word to pronounce--are even tougher to create in the context of multiple systems talking to each other. I think there's a lot of promise, and it might not come from the inside out. The interesting thing is, we may not fix that problem in the United States first because we are so entrenched in technology, into customs of healthcare and health management. That we might find an interesting solution from the outside in, looking at countries who are desperately in need of fundamental shifts and are more likely to adapt to change driven by technology. Michael Krigsman: John, that's a very, very interesting point, that entrenched cost curve, as you were describing. Whereas in other countries that have not developed so completely as we have, it means that today they lack that kind of infrastructure and technological sophistication that we may possess here. It also means bringing the right type of thinking, the right type of innovation, the right type of economics to bear, they're not held back by all of that legacy infrastructure that just is like a weight. John Nosta: I think that the word is inertia. There is such heft to our healthcare system that is supported institutions, by people, that it's tricky to kind of get out of that. That being said, though, I think that the application of something like telemedicine in the developing world is functional, practical, it makes a lot of sense, and could be a real driver for change. Let's not walk away from the United States as the bastion of innovation. We talked about immuno oncology and how that's a fundamental game changer to have people use their own immune system to fight their cancer. But what we're seeing now is a shift, potentially, in the direction where those cells don't have to come from you. There's the difference between something called allergenic transplant versus autologous transplant. The reason it's so expensive is because, if you have cancer, I need to take your T-cells, cook them in a bioreactor, which is extraordinarily expensive, [and] then give them back to you. You are the donor, and you are the recipient. Interestingly, we are no longer becoming organ donors in the traditional sense of the word. We're becoming data donors, which is a discussion maybe a little later we can talk about. But what we're seeing is the ability to use actually placental derived cells to create these immuno therapies that could be more off the shelf. Think about the continuum here where we have extraordinarily expensive, yet extraordinarily life-changing immuno oncology therapies, and technology is pushing them in the way where they're no longer autologous and they're allergenic. That's just a way where innovation has to wallow in the money. You know, Michael, that's the reality is that the economy and the potential for success drives these big game-changers. Peter Diamandis talks about the demonetization of technology. Again, going back to the smart phone, the smart phone is probably valued at--I don't know--$15 million, 30 years ago at the time of the moon landing. Now it's valued at $500, maybe $1,000 if you're going to buy the Apple X. We're seeing that the necessary evil of finance and extraordinary costs are part of the dynamic that is being pushed down by this interesting conflagration of resources, this coming together of human need, technological advances, sense of wonder, and the engagement. Look what innovations are coming. We talk about healthcare and pharma advances now. Well, who is the knock on the door? Who is the knock on pharma's door that makes them nervous? John Nosta: Amazon. Right? Amazon. Apple. Google. We refer to Dr. Google now. Just think about that. It used to be Dr. Markus Welby. Now it's Dr. Google. We're seeing all these factors come into the game, and it's disheartening, but it's also part of the D-word. It's part of that disruption. I think it's going to be a very, very interesting ride, just something as simple as pharmaceutical drug distribution, pharmacy benefit managers now, and the middleman between a drug and a consumer. It's that intermediary; it's that middleman that's being subjected to such scrutiny now. Whether it's something as complicated as the distribution of biologics and drugs, or something as complicated as a financial exchange. We're seeing that middleman as being extraordinarily disruptive. That comes down to this cool world that's making its way all around the industry. I say this for Richie Etwaru, our good friend. That's blockchain. That blockchain is actually eliminating the middleman and providing a new level of engagement where two parties exchange information, services, drugs, and create that ledger that has a grand sense of both efficiency and privacy. Lots of stuff. It's a bit of a soup of innovation. The interesting thing to me is that every day there's a new surprise. I was just writing something about the pharmaceutical and the healthcare industry, and I was asked, "What is the one dynamic? What's the one thing?" I'm sure you hear those questions all the time. What's the one thing I can do to lose weight? What's the one thing I can do to save for my retirement? Those are loaded questions, and they're usually not really good answers. But for me, I think the change we're seeing is speed, is that the nature of change is coming so quickly that that's what's catching people off guard. The nature of pharmaceutical innovation--new drugs, new antibiotics, genetic mediated innovations--are not in and of themselves necessarily new. Yet some of them are. It's the rate of change that's catching everybody off guard, and I think that has to be understood and leveraged to a model that's going to take that into consideration. It's the notion of fail fast, succeed faster. That's kind of new thing that's antithetical to medicine because medicine was linear. We will do this, and then we'll do that, and it follows a linear path. Well, we know now that that linear path, in many instances, is sort of kind of exponential and has its own advantages and problems. Michael Krigsman: --who is the chief data officer at Sanofi Pharmaceutical Company. John Nosta: I'm in trouble. I'm in trouble already. John Nosta: Before I even hear the question, I know it's going to be a tough one, so okay. I'll brace myself. Michael Krigsman: Okay. Milind wants to know. He says, "It's easy to beat up on pharma. What would be one thing you would ask pharmaceutical companies to start, stop, and pause on." John Nosta: Okay. Three questions in one. Michael Krigsman: Well, Milind is a smart guy, and he thinks that way. John Nosta: I know. I know it's tricky. I think that there is a certain degree of inertia in pharma because, just like the practice of medicine, it's the same people, except they don't wear white lab coats. The level of clinical sophistication of a brand manager on an oncology drug is, to a certain degree, similar to that clinician practicing medicine. Of course there are differences, but they are very much the same. I'm going to draw my analogy back from the difficult, frustrated physician, and look at some of the brand managers and leaders in the pharmaceutical community. I gave a talk. We talked about social media to a pharmaceutical community, and I asked them, "How many people here are on Twitter?" Three out of 100 raised their hand. I think that pharma has to begin to at least walk the walk. If they talk about embracing consumer empowerment or using apps to gain a higher level of connectivity with their patients, I think they should do that too. For me, I always want them to kind of walk the walk a little bit, so that's important. What I'd like them to pause is their general reluctance to embrace change. I think that the pharmaceutical industry is a quarter-to-quarter dynamic. We know that. It's driven by Wall Street, you know, earnings. That's sad. I would love to be able to get a little bit of a longer world view on some of the development issues. That's something that perhaps we could pause. Again, the practical realities of life suggest that that might not be a good idea, and I have even said that finance is the engine of innovation, so I could back myself out of that argument very, very quickly. The other idea goes to speed. I think that we need to reestablish models of innovation, whether that be genomic mediated drug development, looking beyond the traditional kind of drug development protocol of recruitment, of large numbers of patients. I think we can really look at drug development in an interesting way. For me, I find that to be a very, very interesting opportunity. Michael Krigsman: This notion of speed, we have been speeding through this show, and we only have a few minutes left. Where do you see all of this going? Put on your forward-looking hat, John. Michael Krigsman: Where is all of this headed now? John Nosta: I think that we're certainly in an era where patients will become responsible for their care. This is not the democratization of health. I think that's a big mistake. If you take a closer look at it, it's probably a two- or three-party system, so let's not alienate the innovators. Let's not alienate the physicians. I think it's a big mistake. As I said earlier, this whole idea of control. Twenty years ago, you went to the doctor, he gave you a pill. You took the pill, and you did what you were supposed to do. Today, control, that rigid, structured environment is being transformed into a new dynamic called collaboration. It's the collaboratory. This collaboratory extends not only to patient care. For example, I now want to play an active role in my care. I want to track my steps. I want to be able to use technology to monitor my blood glucose, my blood pressure, my PSA, or whatever biological marker that I discuss with my caregiver, and take an active role. The collaborative nature is something that's important to the consumer. But I want to shift that over to innovation and even the pharmaceutical industry because I think we're looking at a broader collaborative dynamic now. The lightening bolt strikes at odd places. Google, Apple, and all these great companies that we talk about that we hold up as standards of innovation were started in garages. Even Medtronic, a great device company, was started in a garage. I think that pharma can look to various eclectic sources, people like engineers who do not know the right and wrong way to measure blood pressure. They just use their physics training to figure it out and come up with ways that are completely disruptive and innovative. The eclectic sources really help drive innovation. I think we're seeing that now in a lot of the startups all around the world, certainly Silicon Valley, Boston, Israel, all over the world. But they are the lightning rods. What established pharmaceutical companies have are the two other things that are essential. But if you don't have three, you're shot. It's lightening, that inspiration, the idea. Then we need clinical development or clinical evaluation. We need to understand how it works in the context of care. To be able to evaluate it in a clinical trial is where pharma lives. The third is market access. How do we get that great idea out to a consumer marketplace? A brilliant idea that no one knows about is kind of like winking in the dark. You know you're doing it, but no one else does. I think that the pharma model will look outside for points of innovation. We see that now in the collaboratory where they're looking to find these things. The interesting thing to me is, because we have such a free dissemination of innovation, combined by all those other factors we started our talk with, that the world is a caldron of innovation. 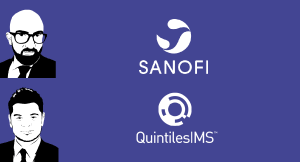 Pharmaceutical companies are conduits to bring those innovations to market. They are not the end all, be all innovation and brilliant thinking. That's going to come from a lot of interesting spots. To me, it's all mediated by this tremendous thing called speed. Michael Krigsman: It's quite interesting. As you were talking, I can't help but draw the similarity to fintech, financial technology startups that are being courted by banks, that are trying to disrupt banks, and are being very heavily courted by banks, many banks investing in these companies because the banks recognize that fintech startups are the future. They're innovating. They are biting off pieces of the traditional banking institutions, financial services institutions. It seems very similar. John Nosta: Yeah, I agree. I agree. I don't think that pharma has to necessarily change. I think that clinical trials will still be a fundamental reality; that marketing products and consumer and professional audience differentiation is still going to be important. It's just the trigger of innovation, the dynamic of innovation, I think, is evolving in very interesting ways. That's going to be a bit of a wakeup call to some company that's going to bring that forward. Now we're looking at companies like Google and even Apple who are looking to play in that space. Ultimately, pharma doesn't want to become Apple. I'll tell you for sure; Apple does not want to become pharma. John Nosta: There's got to be a middle, and I think that middle is going to be a new and evolving dynamic built around innovation in an accelerated collaboratory. Michael Krigsman: In our last few minutes, John Nosta, what advice do you have for various stakeholders, for pharma companies, for insurance companies, for whoever you want to touch on? What advice do you have for adopting the kind of change that we've been speaking of, but in a way that will work for them on a practical level? John Nosta: Sure. I've been thinking about this a lot lately because we see the emergence of this thing. Michael, I'm sure you've seen it a thousand times, the accelerator, the think tank where we pull these things together. What I've been finding, and not always the case, but pharma is taking their old school rigid rules, taking staffing that may be moved from one job to another, and building a collaboratory around sort of this old school perspective. They're following the same formula. For me, the collaboratory is a very unique, defined environment that has to uniquely be suited to your company. An accelerator is not an accelerator is not an accelerator. These organizations have to be fine-tuned to the unique needs of both your marketplace and your internal structure because, after all, I think a lot of the changes will come from the internal structure. For example, an accelerator at Apple around a new earphone jack might require a higher level of structure to kind of corral these free thinkers in. Conversely, an accelerator at a pharma environment might need to have less structure and more whimsical thinking to try to find new ways of managing drug delivery or disease or whatever the topic is. For me, I think that there's not a fixed formula. I'm seeing that a lot of people think, oh, well, we just need to get our app. It's like the old days of the dot-com. Every company needed to have a website, a dot-com. They took their existing promotional material and put it up online. I don't think the transfer is that linear. I think we need to be a little bit smarter and really look at some of the unique opportunities. Pharma is a great place. Pharma is a bastion of innovation that has truly saved and transformed the world. They need to take that wisdom and knowledge and fine-tune it a little bit into a new and dynamic marketplace. Michael Krigsman: Okay. On that note, this has been an incredibly fast 45 minutes. John Nosta, thank you for taking time and speaking with us today. John Nosta: My pleasure. It was a great chat. 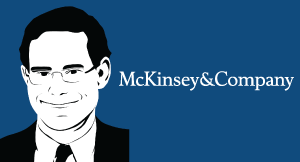 Michael Krigsman: Everybody, you have been watching Episode #262 of CxOTalk. Go to CxOTalk.com, and you can see our many shows. Of course, be sure to subscribe on YouTube. Needless to say, be sure to like us on Facebook. Thanks so much, everybody. We will see you next time. Have a great day. Bye-bye. 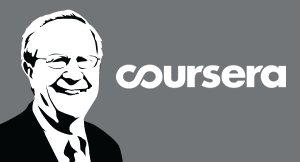 Companies like Coursera are changing education dramatically. From higher education to vocational and skills training, online courses offer high quality instruction at lower cost than ever before. On this episode, we talk with an online education pioneer to learn about the impact of technology on modern education. Since 1948, the World Health Organization has been at the forefront fight disease around the world. In this episode, we explore the technology and infrastructure that WHO uses to conduct its mission. 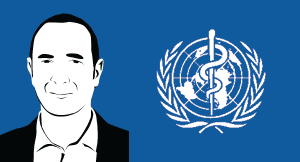 Our guest is Marc Touitou, CIO of the World Health Organization (WHO) based in Geneva.